Through Rob Hamill’s personal story, Brother Number One explores one of the “forgotten” genocides of the 20th century, examining how and why nearly 2 million Cambodians could be killed by a fanatical left-wing regime known as the Khmer Rouge. Prior to 1970, Cambodia was a charming though impoverished and corrupt French colony presided over by colourful Prince Sihanouk. Although the royals were popular, anti-colonial sentiment grew, inspired in part by political developments in Cambodia’s neighbour Vietnam. Pol Pot (Brother Number One) was from a relatively wealthy family and while studying in Paris in the 1950s, met the elite young people that were to become the leaders of the Khmer Rouge – the “Brothers”. It was there that they learned about the French Revolution, through the prism of the Communist Party, at that point heavily influenced by Stalin. At this stage, Cambodia’s politics were a volatile mix of anti-colonialism, anti-Americanism and anti-communism but were impacted greatly by the war in neighbouring Vietnam. In a supposed effort to flush out Viet Cong rebels from Cambodia’s border regions, the US illegally carpet-bombed the entire country some say transforming the Khmer Rouge from a small, albeit militant force into an army. Sihanuouk was overthrown in a US-backed coup by his army chief Lon Nol, who was vehemently anti-Communist. His brutal tactics caused more to flock to the Khmer Rouge who, in turn, toppled Lon Nol. Cambodia was renamed Democratic Kampuchea. Pol Pot then inaugurated his maniacal policy that reduced the population of Cambodia by a third. Nearly two million were killed or died of starvation in the ensuing four years, suffering under an agrarian utopia of equality, where “enemies” of the unsparing regime were “re-educated” through slavery, starvation and torture. Tuol Sleng (known as S21), an old school on the outskirts of Phnom Penh and headed by Comrade Duch, was centrally important to the Khmer Rouge organization as its primary torture and execution centre. Finally, the Vietnamese, supported by the Soviet Union, invaded Democratic Kampuchea in 1979 after tensions between the two countries mounted. 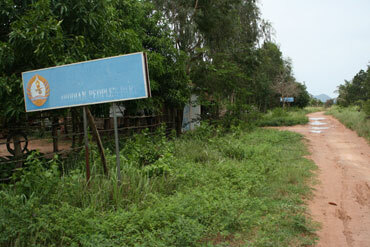 The Khmer Rouge caved in and withdrew to border regions. A low level war continued until the mid-1990s made possible by the support that the Khmer Rouge received by the US and China (with other Western countries including New Zealand tagging along) who feared the influence of the USSR in Indochina. The United Nations, bowing to Western pressure, accepted the Khmer Rouge as the UN’s representative. But the extent of the genocide became hard to ignore and finally UN-supervised elections were held. An unstable and corrupt government was cobbled together that remains in power today. 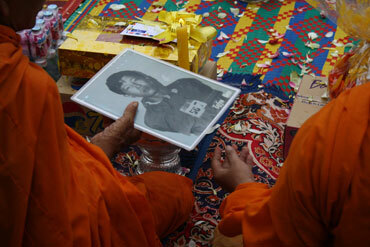 The consequences of the Khmer Rouge period and the lack of support Cambodia received subsequently are evident today. Poverty and corruption abound, HIV is rampant, and the rule of law is rarely respected. The country’s traumatic past has only just begun to be taught in schools and many of the young generation remain unaware, or are disbelieving, of the country’s suffering. A war crimes tribunal, the Extraordinary Chambers of the Court of Cambodia (ECCC), was put in place in order to gain justice for victims of Khmer Rouge regime, with five high-ranking members of the regime standing trial. Rob will confront Kaing Guek Eav (Comrade Duch), the man who presided over the notorious torture centre Tuol Sleng where 14,000 Cambodians were tortured and murdered along with a handful of Westerners, including Rob’s brother. Part of the hope of the trial is not so much that justice will be gained, but that Cambodians will begin to understand their history more fully and with that understanding, begin to come to terms with the past. Following Duch, who is now a born again Christian, three of the “Brothers” and one woman (wife) from Pol Pot’s inner clique will stand trial. While Duch has partially admitted his guilt, the four “Brothers” are going to be harder to indict, despite being even more culpable than Duch. The court process has been fraught with instability, and the prosecution’s desire to try five more Khmer Rouge leaders has been met with opposition from Cambodia’s Prime Minister, who has suggested that further trials could lead the country to civil conflict.